At Oak Lane Structures we specialize in sheds, garages, animal shelters, horse barns, and mini barns. We have a large selection of barns displayed on our lot in Flora, Indiana. Beyond the barns on display, you can order the size, color, and style of shed custom-built for your tastes and needs. We also build your storage barn on-site if you prefer. Not sure how you are going to pay the full price of the shed? We offer a Rent-to-Own payment plan. Click on the Storage Shed page to see pictures of sheds that we sell, or better yet, swing by our lot in Flora, Indiana, and see what we have in person. 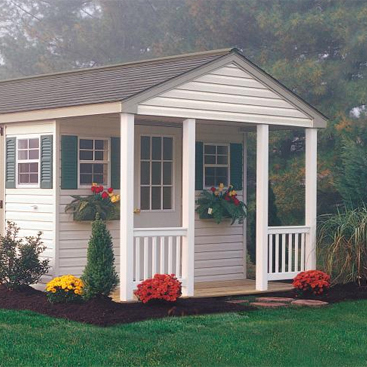 We sell storage sheds to the Flora, Monticello, Delphi, Lafayette, Kokomo, and Logansport, Indiana areas. Nothing quite beats enjoying the outdoors with your family and friends. Our wooden and poly patio furniture makes relaxing outside a rejuvenating experience. We have lots of furniture options for you to choose from. So, if you are looking for a glider, rocker, picnic table, or even a swing set, we are here to serve you. 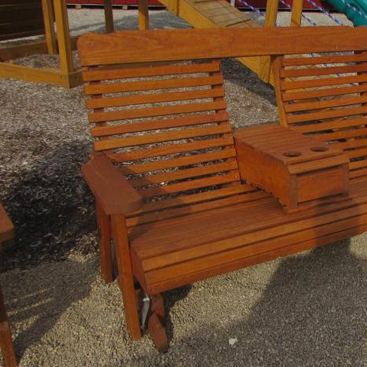 You can check out our Lawn Furniture page to see pictures of the different types of furniture we provide, or we would love to see you at our lot in Flora, Indiana, where we can show you our displays and answer your questions in person. Scattered across the Northeastern Indiana countryside are little oases of rest... outdoor Gazebos, Pergolas, and Pavilions... We sell many styles of wooden and vinyl outdoor structures for you to pick from. 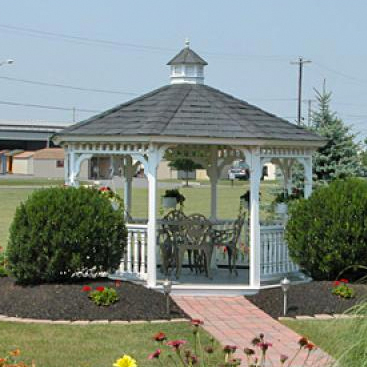 View some of the ones that we offer on our Gazebos, Pavilions, and Pergolas page. We sell them in the local area and as far away as Chicago, Illinois, and Indianapolis and Fort Wayne, Indiana. Remember the carefree days of trying to swing high enough to touch the leaves on the tree? All children long for a swing sometime in their childhood. A play set not only provides many hours of joy as a child swings, slides, and climbs, but it also gives a child healthy exercise. We stock several play sets on our lot but also have a wide selection of models that you can order. Click here on Swing Sets to see the products we offer currently. We enjoy bringing smiles to children's faces when we deliver their swing set in the Flora, Monticello, Delphi, Logansport, or Lafayette, Indiana areas. 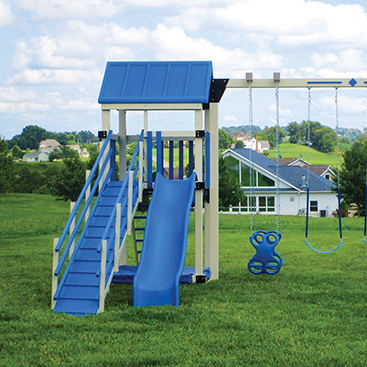 Call 574-967-3233 today for your swing set, and we'll be glad to deliver and install it for you. 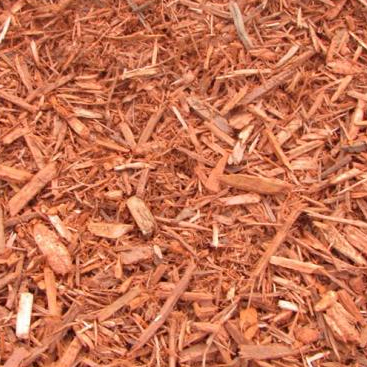 We stock various colors of mulch to better serve your landscaping needs. We also sell gravel and rock for those projects that need completed around the house or driveway. We also now stock rubber mulch in a shredded style and also a nugget! Also new this year, we have added Ice Melt! We have 3 different grades to choose from! Contractors are welcome! Stop by today for your mulch or stone, or give us a call at 574-967-3233 and we will be glad to deliver them to your home! Check out our Mulch and Landscape page to see pictures of the options we have to offer you. 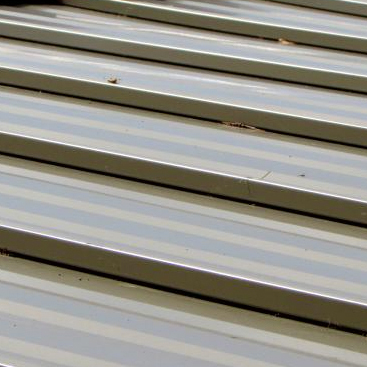 Here at Oak Lane Structures we stock several types of metal roofing and siding. We not only carry the standard metal panels, but we also sell the standing seam roofing for a more professional look. For more information, view our Metal Siding page or swing by our lot and we'll be glad to chat with you about the quality products we can offer. Hours: Monday thru Friday - 8-5. Saturdays - 9-3.